The promotion you are trying to access has ended. Check back in December of 2018. We have another great contest to share with you. Text to join our mailing list and get all the latest news, specials and deals. 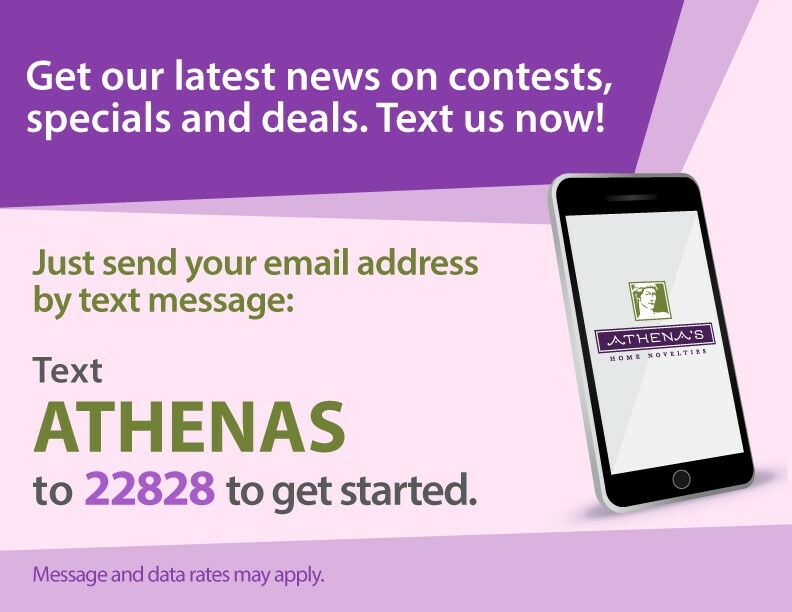 This promotion is managed by Athena's Home Novelties. This promotion is in no way sponsored, endorsed or administered by, or associated with, Facebook. You are providing your information to Athena's Home Novelties and not to Facebook. By participating in this promotion you agree to a complete release of Facebook from any claims.Participation in this promotion is subject to the official rules.